With Cycle scheme, you can get a tax-free bike, which for most people means they save about 40% of the cost. Who are Cycle scheme and what makes us different? How do employees get a tax-free bike for work through Cycle scheme? Step 1. Once an employer is partnered with Cycle scheme (employers can sign up here) all employees wishing to participate visit a local Cycle scheme Partner Store to choose the bike and, if required, safety equipment. To search for local Partner Stores click here. Step 2. Employees then apply for a Cycle scheme Certificate online using a unique link to our secure extranet facility. The unique link is provided to employers and distributed to all employees. The employee will usually sign an online Hire Agreement at this time. Step 3. If the employer approves their application they will countersign the Hire Agreement and pay Cycle scheme for the full retail price of the bike and equipment. Step 4. Cycle scheme will then post out a paper Certificate, usually to employee’s home address. Any size employer from any sector can partner with Cyclescheme. Eligible employees must receive salary via the PAYE system, and earnings should be more than the National Minimum Wage after salary sacrifice. Employers who pay staff close to the National Minimum Wage should contact Cycle scheme to discuss the range of attractive options available that allow lower paid employees to participate in, and benefit from the scheme. There is no credit check for employees wishing to participate, and Under 18s can join the scheme if their guardian signs a guarantor agreement. Cycle scheme’s network of 1,740 Partner Stores provides access to over 400 different bicycle brands, including the UK’s most popular bike manufacturers. 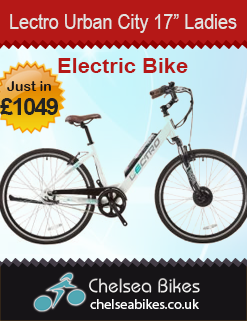 Many of our Partner Stores provide electric bikes, folding bikes and other specialist cycles. 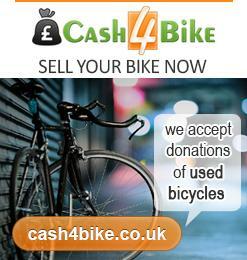 Please select the 'getting a bike' tab at the top of this page and click on 'Where can I get a bike?' to use our Partner Store finder. 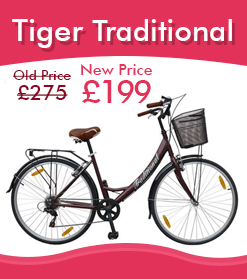 We also provide cheap hybrid bikes london, used bikes in london, mountain bik london, bikes repair london camden bike. Cycle scheme’s Partner Shops are capable of supplying bike packages by mail order, but there are distinct advantages to getting bikes from local bike shops that will be the first port of call for advice, servicing, after sales and warranty. Some mail-order specialists are not part of the Cycle scheme Partner network. Please note that any delivery fees for mail order bikes must be paid for outside of the scheme (i.e. do not qualify for tax relief). Most cycle-specific insurance not only provides cover for the cost of theft replacement, but also provides personal and third party medical insurance cover and, in some cases, a roadside recovery service in the event of breakdowns. By insuring the bike, scheme participants can now maintain their savings by avoiding hefty replacement costs in the event of theft, and continue to enjoy the full tax exemption for the rest of the hire period. 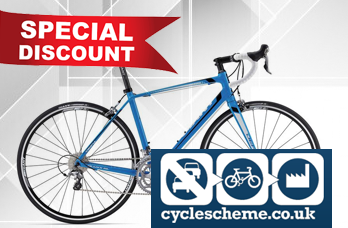 For further information on cycle-specific insurance please visit Cycle guard on www.cycleguard.co.uk (Cycle scheme participants can obtain a 10% discount on Insurance and Roadside Recovery). If you do not wish to take ownership of the Equipment or sign the Extended Use Agreement you must return the bicycle to Cycle scheme Ltd.
Once we have received written notice of your intention to return the bicycle, Cycle scheme Ltd will contact you with further instructions. Whilst Cycle scheme Ltd will not charge for disposal of the bicycle, you will be required to deliver or post the bicycle and are responsible for any financial cost in doing so. If you do not inform us of your intention to return the bicycle, this would result in a benefit in kind that should be declared on a P11D which may result in any tax savings, made during the hire period, being disallowed. Furthermore, you will be responsible to pay Cycle scheme Ltd any costs that we reasonably incur in recovering the bicycle from you. The Office of Fair Trading (OFT) has issued a group consumer credit licence to cover Employers implementing Cycle to Work Schemes that are limited at £1000 inc. VAT per Certificate. To view and download a copy of the license please clicks here. Employers who have their own Consumer Credit License Category B (consumer hire) can allow employees to request Certificates of a higher value. Alternatively, employers wishing to increase the Cycle to Work Certificate value can apply for their own individual Consumer Credit License from the Office of Fair Trading. For further details please contact our Helpdesk on info@cyclescheme.co.uk. In order to preserve the tax benefits of the scheme, there can be no guarantee or obligation to transfer ownership to the employee immediately after the hire period has ended. However, employers generally choose to offer this option in addition to others, either directly or via Cycle scheme. At the end of the hire period, Cycle scheme will contact employees to discuss the options available. At the end of this period, if the employee does not wish to keep the bicycle, then Cyclescheme will refund the deposit in full. Alternatively, Cycle scheme may at its discretion, offer ownership of the bicycle to the employee at this point, and no further action or payment will be required if they wish to keep the bicycle.